Trail Walk: There are discussions underway to consider how to align a new trail to link Valley Forge to the Heinz Refuge by connecting the Radnor Trail to the Cobbs Creek Trail. 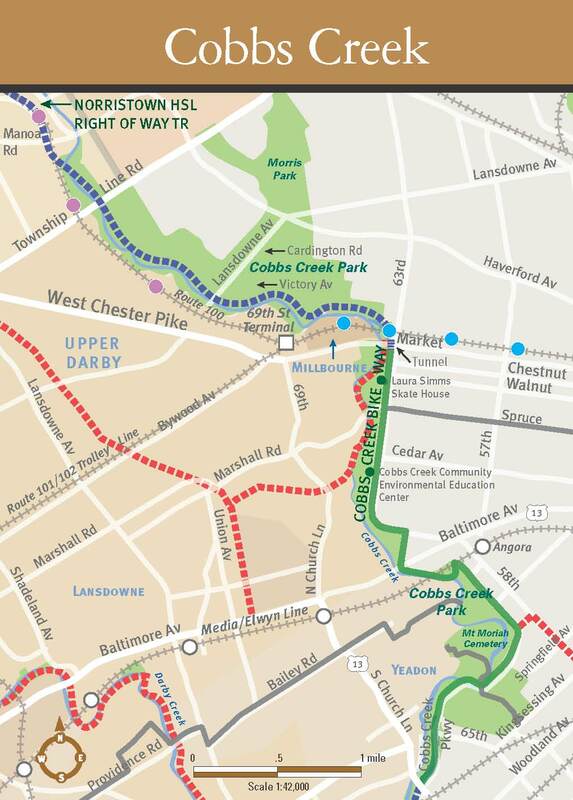 The Philadelphia Parks Alliance is hosting an exploratory walk from Haverford Twp to West Philadelphia led by architect and trail designer Bob Thomas, to see the various possibilities for this portion of the trail, which would travel through Karakung and Cobbs Creek Parks. 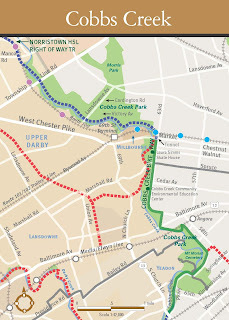 The historic route of the long-lost trail along Cobbs Creek, will be traced and Bob will compare today's landscape with that in the 1930's guidebook. Meet: 11.00 am at Cobbs Creek Park at the NW corner of 63rd and Markets Street adjacent to the SEPTA 63rd Street Market St El Station (you may reach this station via frequent SEPTA service on the El, and bus routes 21 and 31. See www.septa.org). Fees: For evening and half-day tours (unless otherwise noted): $10/member of the Philadelphia Parks Alliance, Sierra Club, Pa. Environmental Council, Bicycle Coalition for Greater Philadelphia, Green Space Alliance, American Institute of Architects, American Society of Landscape Architects, Appalachian Trail Conservancy, Hostelling International, Preservation Alliance, East Coast Greenway, REI, University City Historical Society, Women’s Transportation Seminar, or the Schuylkill River Greenway Association. $15/non-members. This will be similar in nature to the Radnor walk Bob led on April 17th. See photos here.